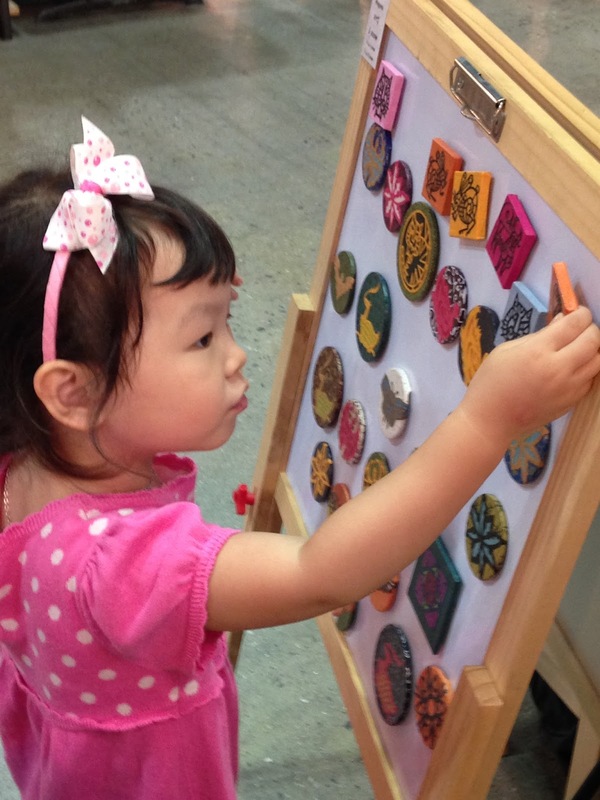 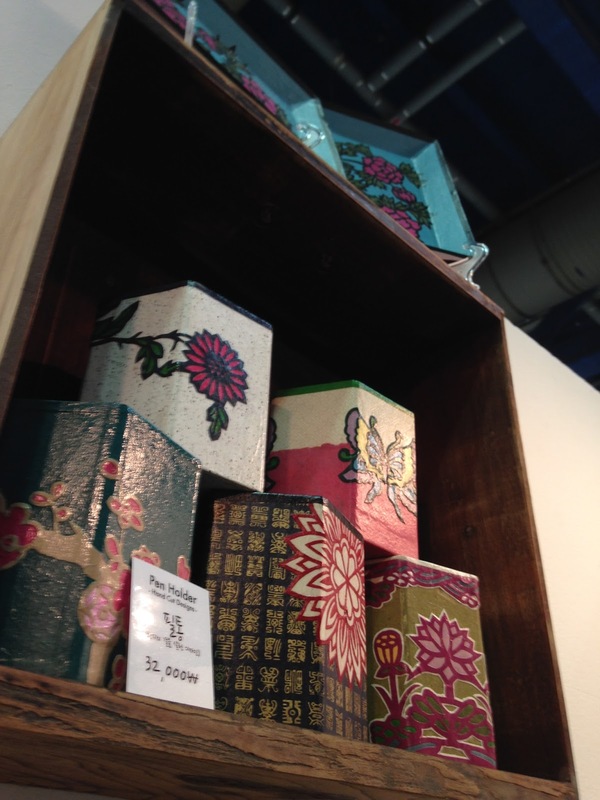 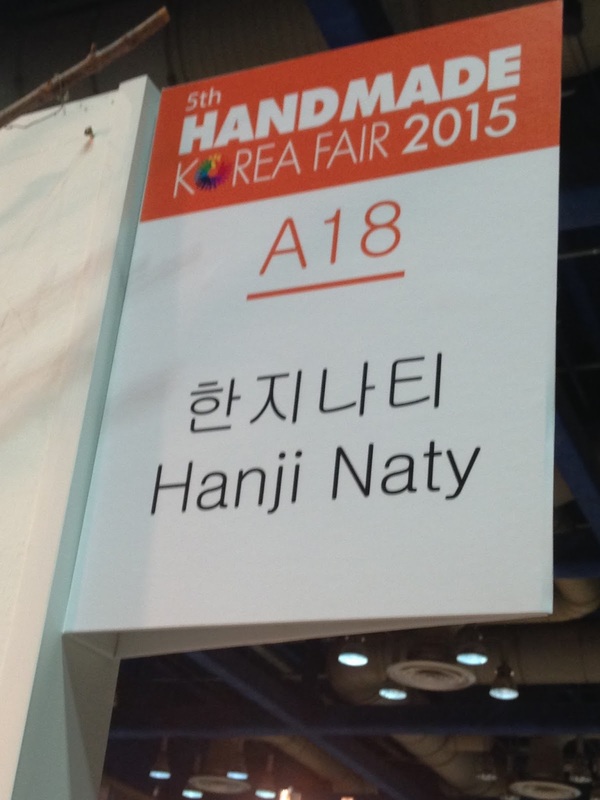 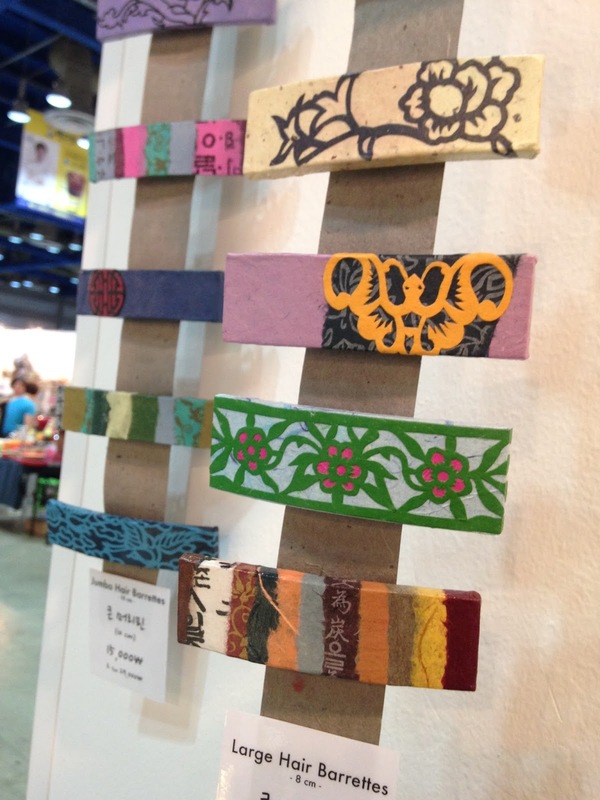 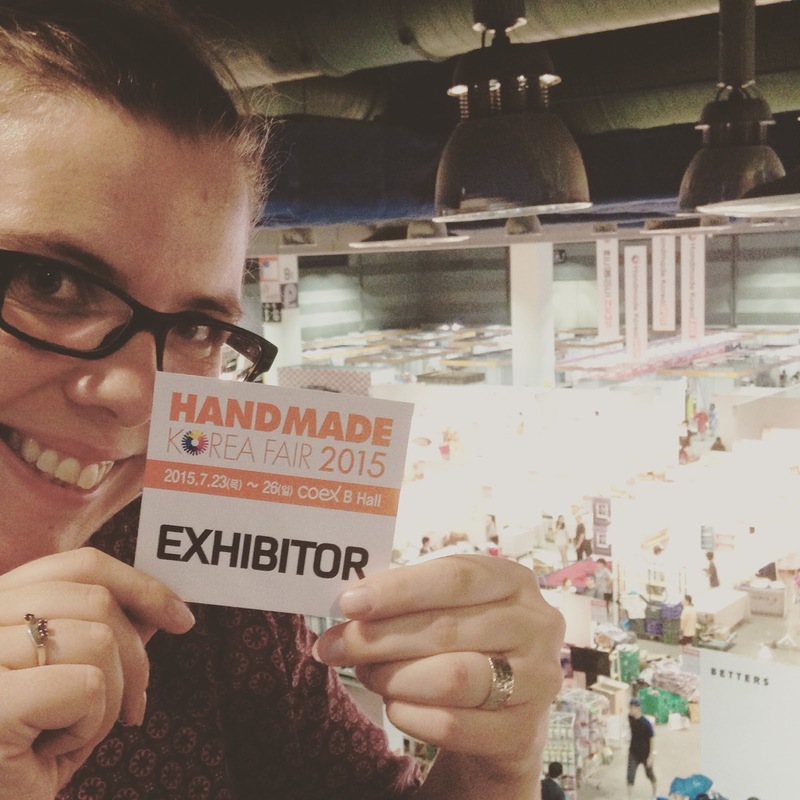 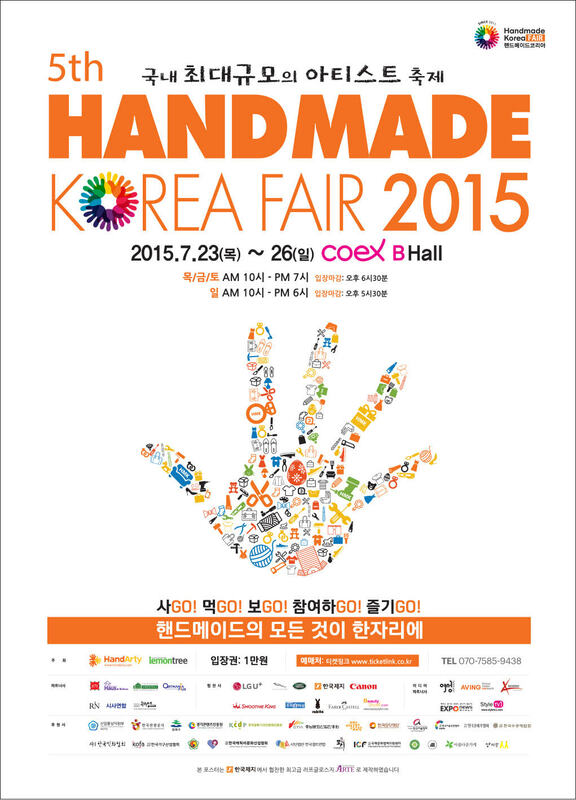 Hanji Naty (한지나티): Handmade Korea Fair - What an amazing experience! 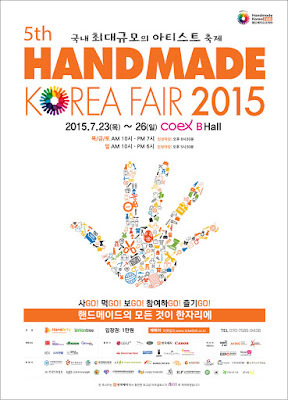 The huge craft show HANDMADE KOREA FAIR was held in the Hall B of the COEX Complex in Gangnam, Seoul from July 23 to July 26, 2015. 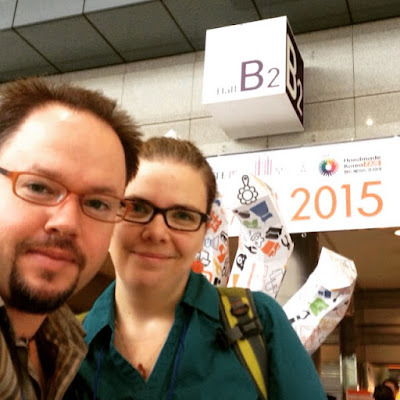 No need to say that I was very excited to be part of this amazing adventure! 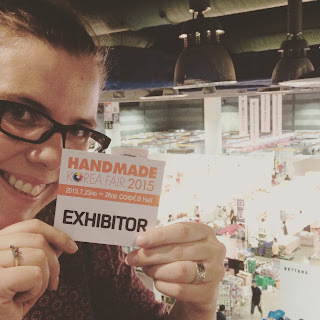 There were over 500 booths in the Fair, including mine. 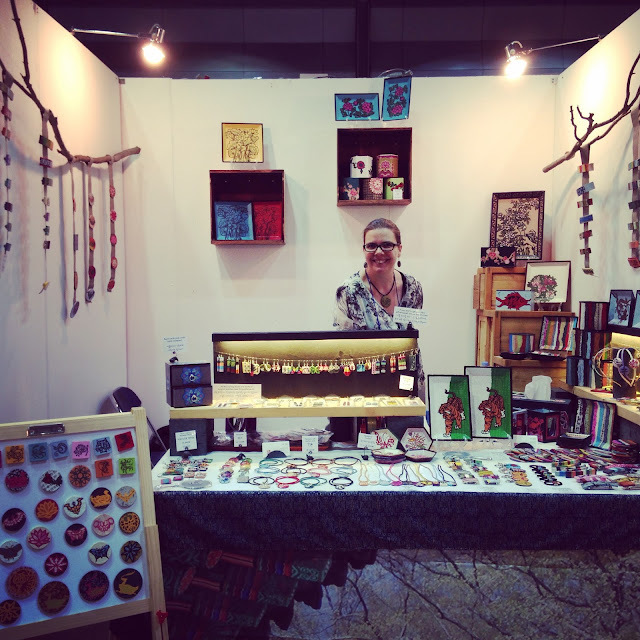 All the items for sale in my booth were handcrafted by me. 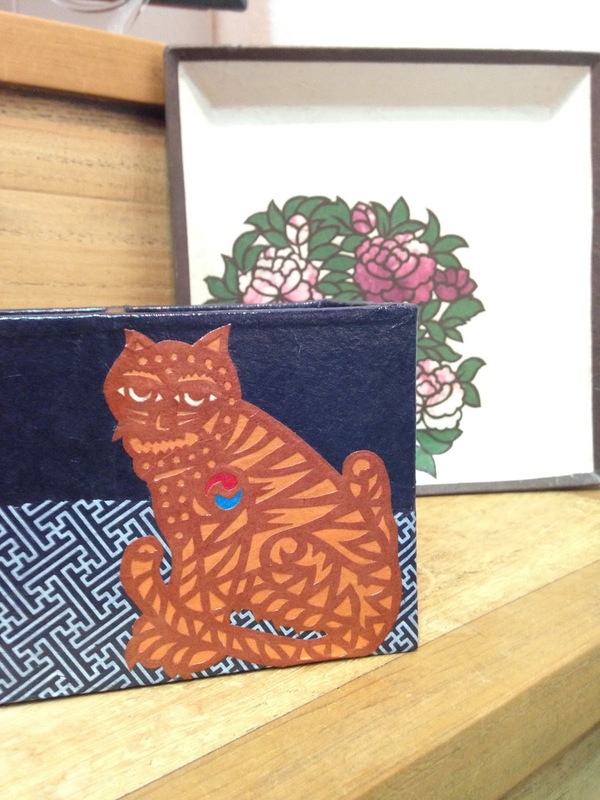 All my products is made with high-quality Hanji paper from Korea. 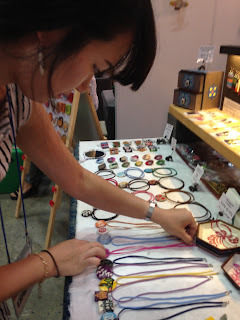 My booth was filled with different types of items : hair accessories (hair pins, pony tail ties, etc. 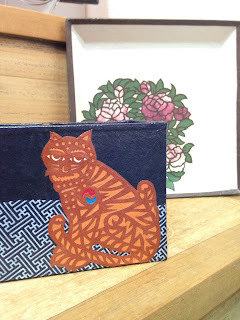 ), jewelry (earrings, necklaces, and brooches), and home decor items (pen holders, coasters, magnets, and plates). I was lucky to have a wonderful booth partner! 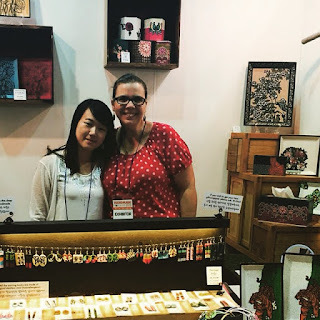 My friend Seula was with me on Thursday and Friday, to welcome visitors, answer their questions and make sure communication was smooth with my Korean clients (as my Korean language skills are limited). She did an awesome job, thank you Seula! For the last two days of the Fair, my beloved husband was there with me. As always he was unbelievably helpful as my booth partner, driver, motivator, translator and salesperson.